With so many education affiliate programs out there, it pays to be choosy. How can you tell which programs are best for your blog or website? By carefully matching the products and services you choose to the needs and interests of your viewers, you’ll be able to attract new readers and sell affiliate offers. Consider some of the following ten most popular education affiliate programs before you decide which is best for you. We look for a combination of high commission rates, excellent payment type, and branding when selecting education affiliate programs. We believe these, making our list, will go well for any audience wanting to expand their knowledge and horizons. Scholastic, Inc., one of the top publishers of children’s books and educational materials, offers one of the best education affiliate programs on the Web. Their excellent industry reputation, consumer appeal, and product selection make this an ideal choice for many education websites. The program is provided via the Commission Junction affiliate network and offers a seven percent commission on sales. The Microsoft Education affiliate program uses the same program as their mainline offers. 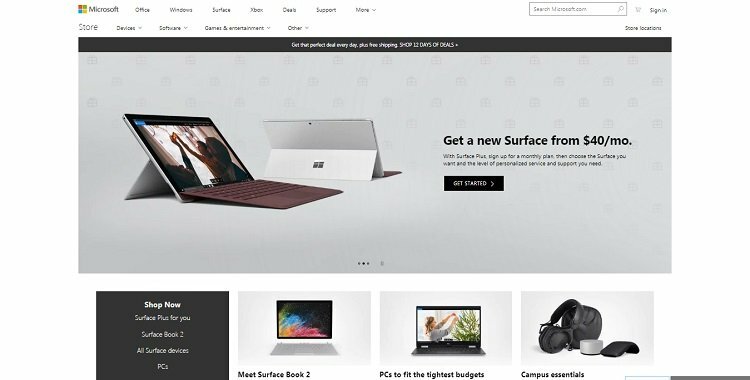 This program lets you promote products like Surface, Office, Xbox, PCs, and an amazing assortment of apps. Microsoft is heavily invested in the education sphere making them a stellar choice for learners of all age groups. If your website focuses on languages, the Rosetta Stone affiliate programs offers an excellent selection of learning products and programs. The well-known language-learning program is popular with consumers, making it an excellent addition to any education affiliate website. Rosetta Stone currently offers 30 language options and a free trial. These two factors — and the program high brandability — should offer healthy affiliate commissions! The Amazon Associate Program is one of the most popular affiliate programs on the Web. With a huge selection of textbooks and educational products, Amazon.com’s program is a great option for education-based affiliate websites. You can select from a wide range of books, software, and electronics to suit the needs of your readers. This popular college affiliate program allows education affiliates to feature an impressive range of schools and programs. If your readers are interested in pursuing further education, this education affiliate program would be a great way to fulfill reader needs while adding a valuable resource to your website. EssayEdge offers a wide selection of services for aspiring college students, including application tips, sample papers, and editing services. Offering an impressive 20 percent commission on every sale, this education affiliate program is an excellent choice for marketers targeting students. 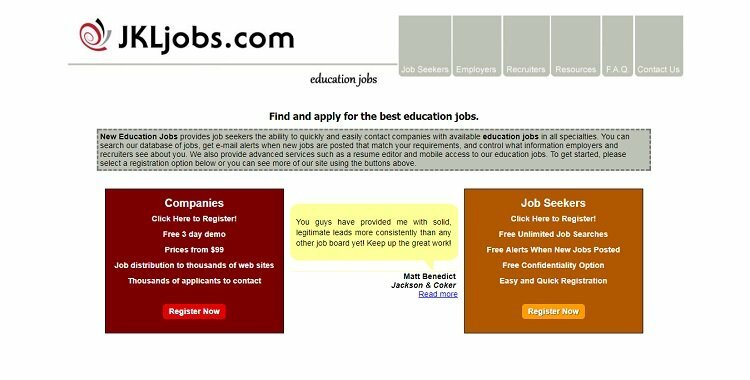 NewEducationJobs.com is a major resource for anyone searching for a job in the education industry, making this affiliate program an ideal choice for marketers reaching out to a professional audience. Education affiliates earn $25 for every employer/recruiter they bring to the platform and $1.50 from job seeking referrals. With the costs of higher education on the rise, students are always on the lookout for the best deals on textbooks and software. The TextbookX affiliate program presents a great selection of products at excellent prices. If you’re targeting an audience of cost-conscious college students, consider joining this popular affiliate program. Known as one of the best-known language learning, higher education, and test prep services, Kaplan offers a great selection of educational resources. Affiliate can earn between $2 to $30 for every successful course registration. In addition to test prep courses, you can also promote books, private tutoring and more. Academic Superstore is one of the top places to buy software and electronics. With a huge selection of top of the line products, you’ll be sure to find plenty of offers to match your affiliate marketing needs. This education affiliate program offers a five percent commission on every sale, a great selection of banners and links and a product feed tool to ensure your website stay up to date. Which Education Affiliate Programs Would You Choose? Each of these educational affiliate programs provides unique courses and resources. You’ll have the opportunity to promote products high and low — diversifying your affiliate income. These programs allow you to, essentially, get paid to learn. You could work alongside the community and share your experience (by creating content about your progress and its topics). What’s there to lose? How do you plan to add higher education affiliate programs to your projects?